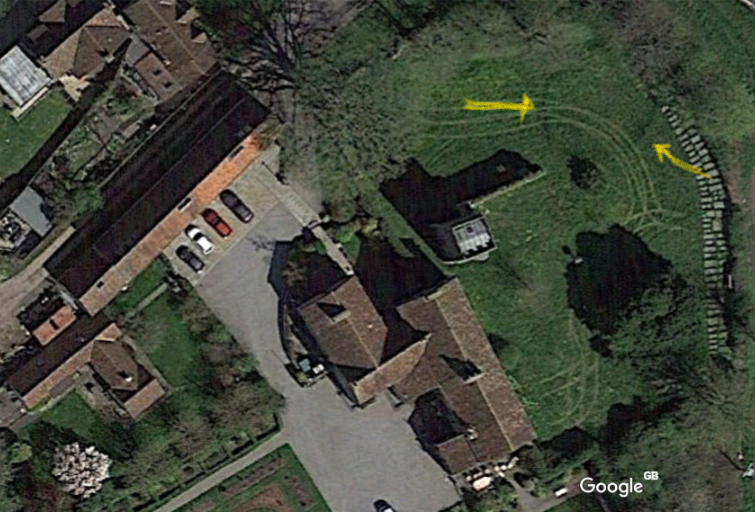 If you look at satellite imagery of Old Church Farm you will see the outline of a Saxon circular barrow. Circular barrows of this kind were mostly created five and a half thousand years ago (3500 BC). Its position on top of the hill known as the Ridgeway (later corrupted to ‘Rudgeway’) would have had spiritual significance at the time. As to the Old Church Farm itself, it was originally known as Alveston Manor and is Grade II listed. It is first mentioned in the Domesday Book (1088). Formerly owned by King Harold of Wessex it passed to William the Conqueror, William II and Henry II – all of whom used it as hunting lodge and sent deer to maintain stocks in the Alveston forest where they would hunt. King Henry II granted it to one of his barons, Fulk I Fitzwarin, in whose family it remained until the reign of King John who grew up with the young Fulk III and had a falling out. As such when John came to the throne he seized back Alveston Manor. His successor King Henry III returned it to Fulk III and it passed on down the generations until 1309 when it was awarded to Walter de Gloucester who died without heir. In 1362 it went to Sir Richard Corbett and in 1395 to Sir Gilbert Denys. 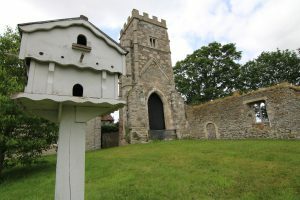 It remained with the Denys family until Tudor times, when it was owned by the Veel family from 1580 until 1703 and it is their coat of arms that can be seen over the front door. Many of the fireplaces, as well as the ornate plaster ceilings, date from the Tudor period, evidenced by Tudor rose motifs. The Veels were Royalists in the Civil War and it is said that Thomas Veel, later Lord Alveston, fought for the King. 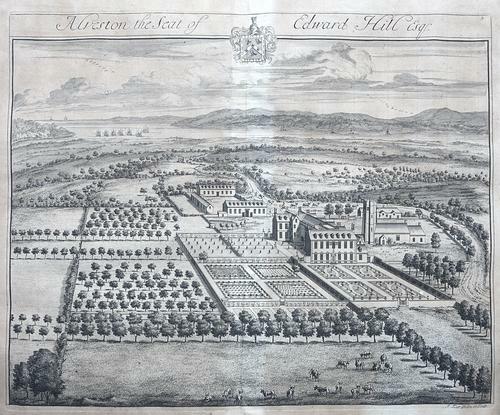 In 1704 it was purchased by Edward Hill of Cam, a businessman and ambassador. 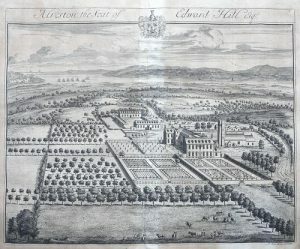 Inside the house is an engraving by Johannes Kipp commissioned by Edward Hill in 1730. At that time the house had two large wings, which do not exist anymore, however, the central part of the house is intact. One can also see in the picture the church and the cattle barns, one of which now houses our conference centre. By the end of the 18th century the house had become a farmhouse and remained so until the 1900s. In 1960 Bristol Siddeley Engines (now Rolls-Royce plc) bought the property. Rolls-Royce plc used Old Church Farm as a private hotel and conference centre. We bought the property from Rolls Royce plc in September 2017 to open it to the public as a boutique private hotel with conferencing facilities as well as providing the local community with a new venue to hold special events. The buildings exude charm, character and history. Whilst the farm house pays homage to its heritage with period furniture pieces and art spanning the centuries the conference centre boasts state of the art facilties to cater to 21st Century business needs.